Hyper was designed to be customized according to the users needs and allows to add functions according to the organization requirements. This tab can contain several sub-tabs with a different customized functionality. 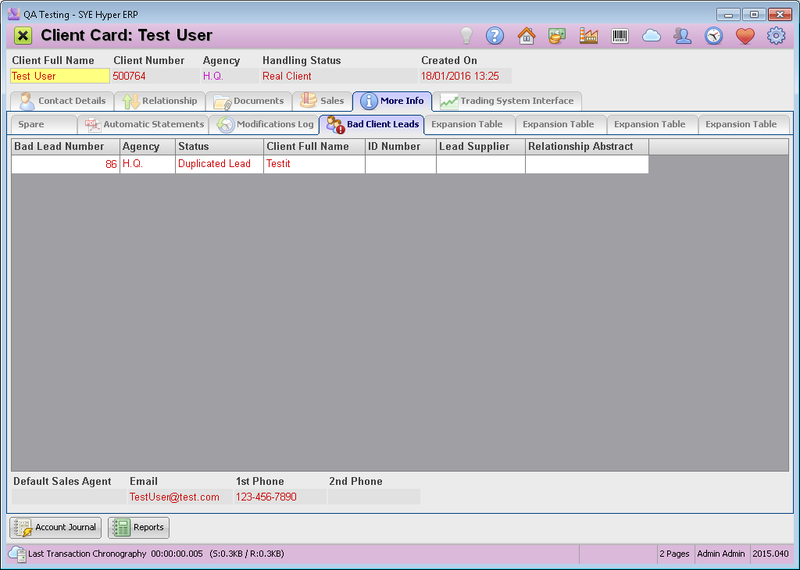 In this tab the user can also follow any modifications made in the client card, save statements and documents, view the "Bad Client Leads" related to this client card and to add or edit additional tabs. Spare Fields - This tab contains spare fields where the user can add and edit fields according to the organization needs and requirements. 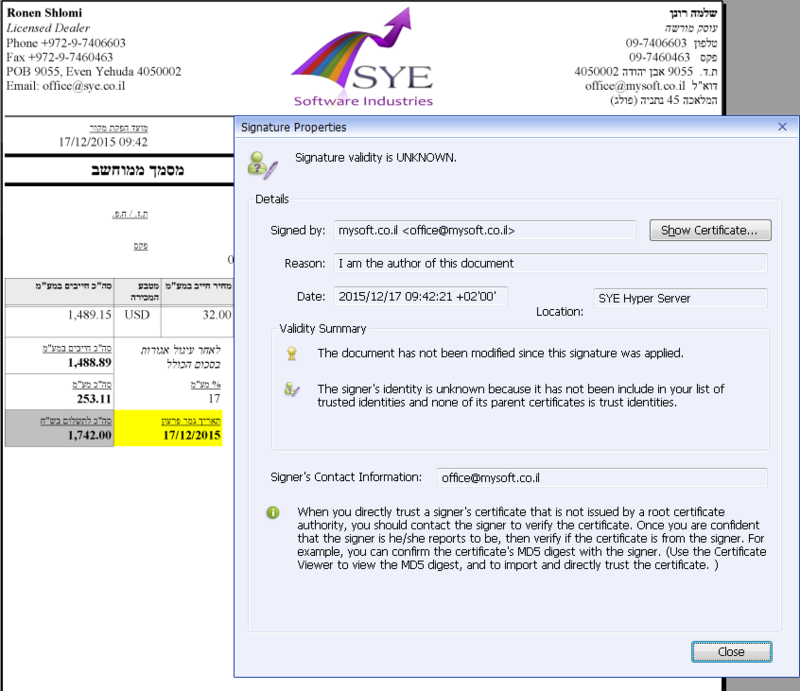 Automatic Statements - Documents that have been saved by the system. For further information click here. Modification Log - This table contains all of the modifications that have been made in the client card. For further information click here. Bad Client Leads - This table contains all of the bad leads (duplicate leads) related to this client card. For further information click here. This is the main tab. 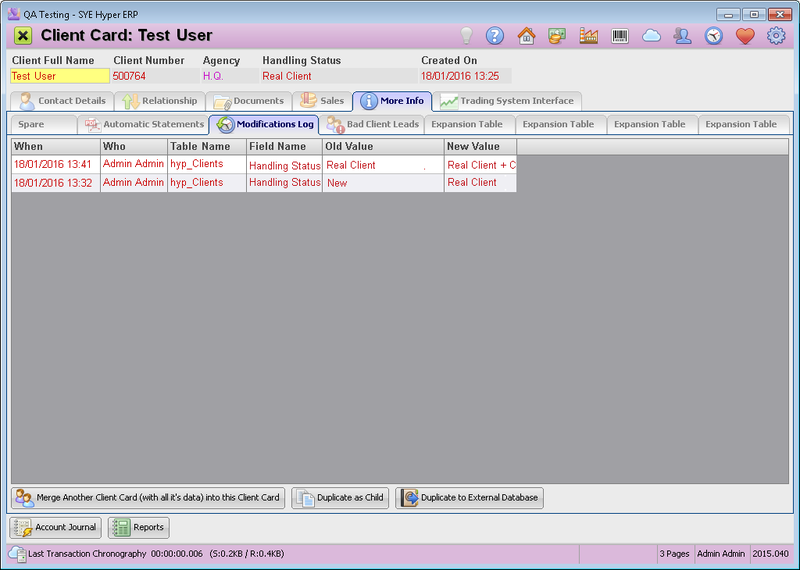 This tab can be used to display information fields according to the organization needs and requirements. 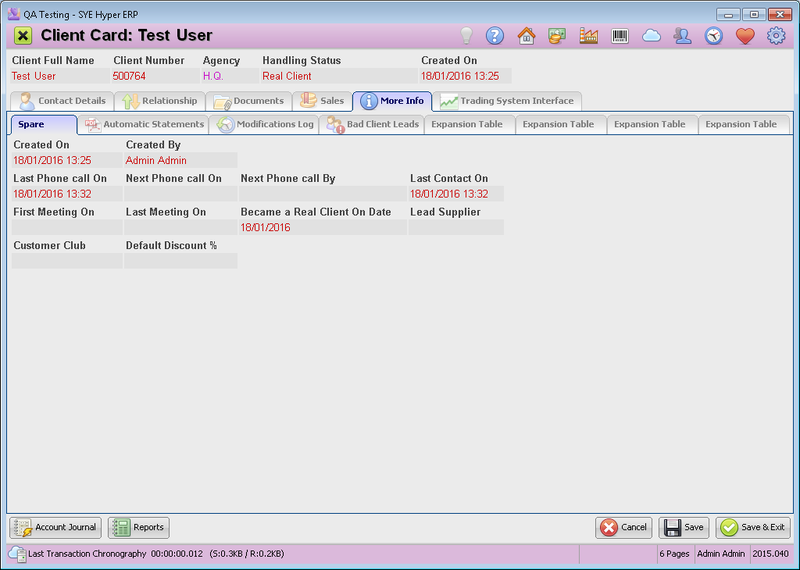 In companies and businesses where the sales person sits in front of the customer, the user can use this tab to contain all of the required information that needs to be hidden from the customer. In this case, the sales person should know to avoid opening this tab in front of the client. Hyper assists its user to create a real clients database. The system checks every new lead and client and verifies that no duplicate card is already exist in the system, by checking the phone number and the Email address. Recovering and deleting leads are available from the "Bad Client Leads" table in the "Reports & Lists" tab.